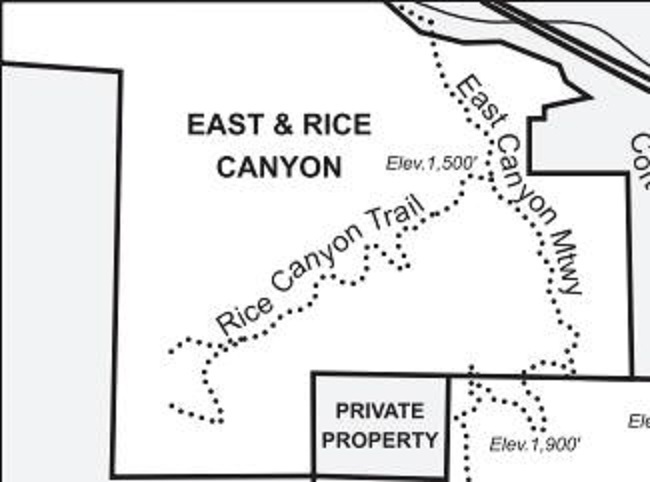 East and Rice Canyons are home to the Santa Clarita Woodlands richest and lushest vegetation. The trailhead provides parking, restrooms, and a picnic area and access to the 3.8 mile East Canyon trail with a steady climb to magnificent views of Santa Clarita Woodlands Park and the Santa Clarita Valley. The trail leads into the 500-acre Michael D. Antonovich Open Space Preserve which straddles the ridgeline of the Santa Susana Mountains.